Complete bathroom remodeling services made easy, and made for you. Whether you’re refreshing one piece or remodeling your entire bathroom, Anew Bath Remodeling will make sure it’s done right – a true reflection of your taste, needs and budget. When you call us, you’re getting more than a plumber or handyman. You get professionals with many years of experience in bathroom products and remodeling. You get a choice from a wide array of the best bathroom products on the market. And you get our process that ensures your expectations are exceeded, every time. Your new bath begins with our free in-home consulting. 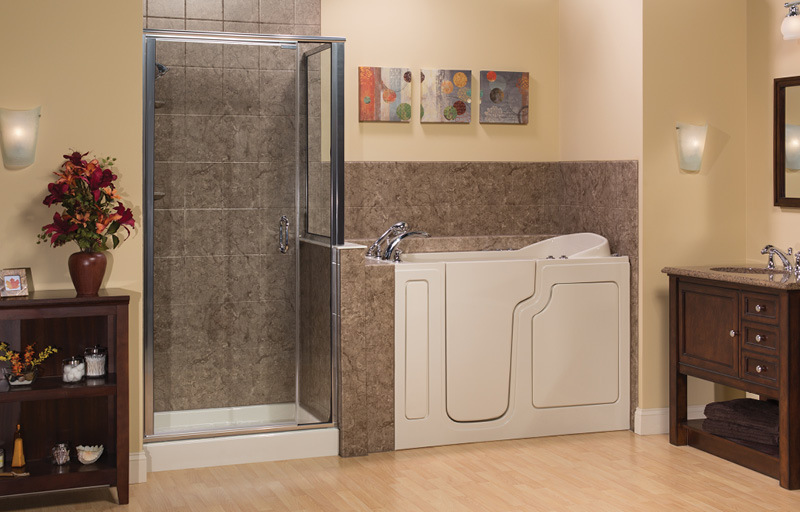 We take the time to listen to your goals, measure your bath and discuss design options. Chances are, we’ll have ideas that will enhance your vision and still meet your budget. Using our exceptional range of product choices, our design experts bring your dreams to life, taking into account your personal needs and tastes. We then review our designs with you to make sure it’s exactly what you want. We make the installation of your dream bathroom easy. Our professionals do the job right, at your convenience, and make sure everything is sparkling clean. Many installation can be performed in as little as one day. And you can be confident that we’ll be there after the install to take care of any service needs.